A long-term strategy that aims to make Europe’s economy climate neutral by 2050 has been adopted by the European commission, who say ‘deep transformations’ will be necessary to achieve the commitment to limit global temperature rises to 1.5°C outlined in the Paris Agreement. The commission says it will be possible to become the world’s first major economy to achieve zero net emissions by funding new technologies, enabling policy changes within member states and engaging with its citizens. 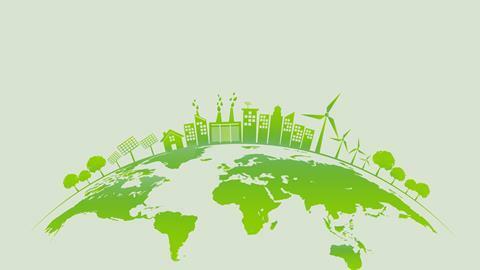 A number of societal and economic changes are outlined in a vision statement, including halving energy consumption, fully decarbonising both power generation and transport systems, modernising existing industrial infrastructure and developing carbon capture and storage technologies. Member states have been asked to submit national climate and energy plans to the commission by the end of 2018 that take long-term climate commitments into account, and the commission wants the European council, the European parliament, the Committee of the Regions and the Economic and Social Committee to debate and refine the strategy in time for the Future of Europe summit in May 2019. The finished strategy will be submitted to the United Nations Framework Convention on Climate Change by early 2020 as required under the Paris Agreement. In Europe, two World Wars (and the Cold War) were fought and won at tremendous costs to free the people from oppression and totalitarianism such as this. Why do the nations of Europe continue to loathe themselves so much that they seek to self-impose dystopian despotism at the hands of the Masterminds in Brussels? The EU seeks to be Red China 2.0. Why? The Paris Climate Accords are all about control of the masses, fueled by arrogance and lust for power to be held by the few who will feel no affects of the oppression and despotism. The European Commission members are the future despot "masterminds".